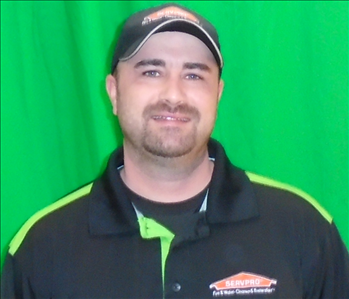 Doss Gunter, crew chief on the water production team, has been an employee at SERVPRO of Bartlett/Cordova/East Memphis for five years. Doss's credentials include Water Restoration Technician (WRT) and Applied Structural Drying (ASD). "This job is never boring, and that makes me enjoy what I do even more." He said that it is good to have a job where he helps people get through their tragedies that may involve their homes being completely or partially destroyed. SERVPRO Bartlett/Cordova/East Memphis helps customers avoid loss, and they are compassionate and understanding people. Doss is often on call and must always be ready at a moment's notice, the same as a fireman; time is important in this job. 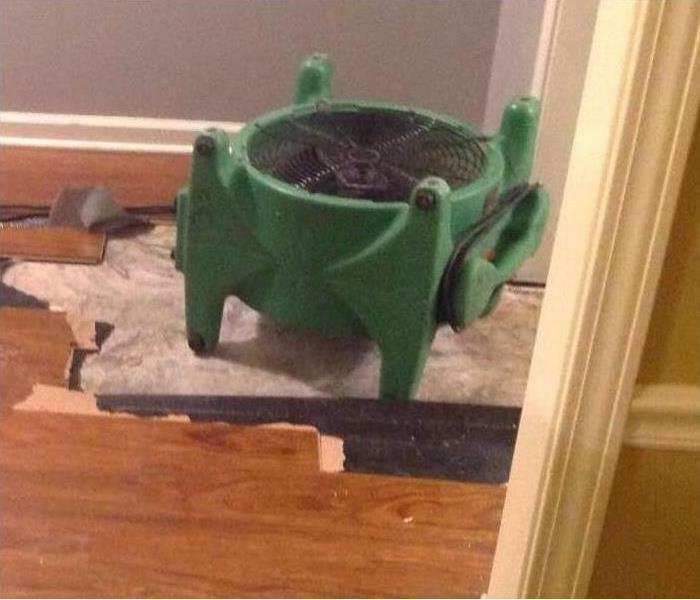 The faster the SERVPRO team arrives on the spot of damage, the more successful they will be at repairing it. Doss said, "Teamwork and knowing how the team members think is important. Several of us work as one. That is important for quality care." Severn is a certified Water Restoration Technician (WRT), and certified in Applied Structural Drying (ASD). He also earned his Pesticide Certification and Bio-hazard tech credentials. He has held the position of water production crew chief for two years, and spent previous years on the disaster recovery team at SERVPRO. "I like being a hero and seeing different cities." "All jobs can be dangerous in one way or another, but that's just part of life and helping save lives are included in the SERVPRO mindset, directly or indirectly. Being on-call is scheduled, so we can be available for our customers 24 hours a day. We don't think about it negatively at all. It's just what we do, and maybe one must love it to stick with it, but how can one not care about helping folks in dire situations?" 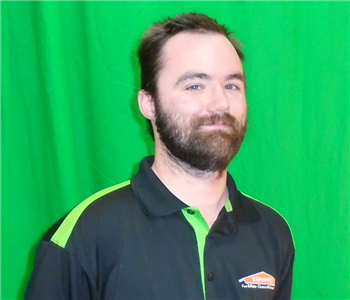 Josh Garmon, has worked with the water production team at SERVPRO of Bartlett/Cordova/East Memphis for over two years, with a total of three and a half years in the water restoration industry. He is currently a crew chief who has earned certifications such as water restoration technician (WRT) and applied structural drying (ASD). "Many times in this job, I have counseled consoled home owners because they have damage to personal items that cannot be replaced and that is the hardest part of the job, when I can't help someone." Josh said he must move quick in order to reduce secondary damage to structures and contents. He is accustomed to being active after spending four years in Iraq, participating in Operation Iraqi Freedom. After three tours in Iraq, he returned from the Navy to civilian life in 2007. While in the military, Josh considered himself blessed because he experienced seeing regions of the world that he may not have seen otherwise. Rene' Swain, 13-year employee of SERVPRO Bartlett/Cordova/East Memphis, is account manager, her primary account is State Farm. 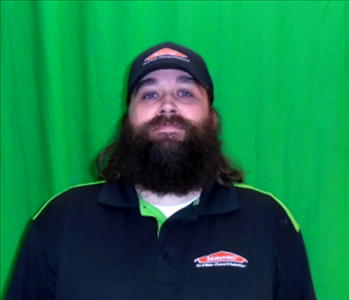 Swain enjoys the family atmosphere at SERVPRO Bartlett/Cordova/East Memphis, helping others in times of need, working for those who care about their employees and having the opportunity to be out and about in constant contact with the SERVPRO "team." The most important part of the job, according to Rene, is for people to associate her with a job well done. SERVPRO'S reputation is important to her on many levels. Swain said she feels good about making tragedies seem less tragic and easier for families to experience. "Although this is my job, I feel it's also a way to 'pay it forward,'" and I'm blessed to be employed at a company that puts a smile on my face every day as I walk out my door and head to my job." Chris Fava has many years of experience in the restoration industry which has provided him a wide range of knowledge including production, customer relations, and his current area of sales as a Sales Account Manager. He has multiple industry certifications (IICRC) including Water Restoration Technician (WRT) and Applied Structural Drying (ASD). He spent four years active duty in Germany then after his tour with the Army, he came back to the United States and became an independent floor contractor. One and a half years ago, he started working at SERVPRO of Bartlett/Cordova/East Memphis, which was beneficial to the company. Chris said, "What I like best about this business is the family-type atmosphere. It's refreshing. There's more peace here than any place I have ever worked." Chris is a certified CE Instructor for Tennessee and Arkansas. 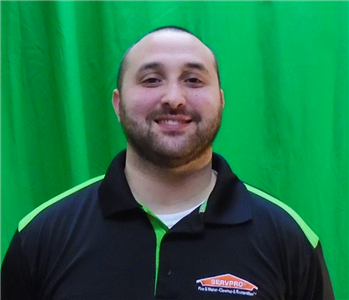 Nick Schifani has been part of the SERVPRO of Bartlett/Cordova/East Memphis team for four years, starting in production as a water tech for two years then progressing to Sales Account Manager the last two years. He holds multiple industry certifications (IICRC) that have prepared him to be an expert on restoration projects. Schifani's college major was sports managing but he stated he cannot imagine not being part of the SERVPRO team instead. He feels comfortable at SERVPRO where the atmosphere is friendly, and he said the owner make him feel that his work is appreciate. He added, "I'm a people person and enjoy talking with customers." Trey Perkins, crew chief in water remediation, has been with SERVPRO/Bartlett/Cordova/East Memphis for nine years. He also spent a year during this time working with a partner SERVPRO franchise and participated in multiple large loss projects including the Detroit flood. In addition to his many years in the restoration industry, he also holds a journeyman’s IICRC title which is earned through multiple certifications with that organization including WRT, ASD, CDS, RRT, CCT, UFT and AMRT. He is a wealth of knowledge for our team. Trey said, "My hobby is my family. We enjoy the simple life, and it sure is good to be back home at SERVPRO/Bartlett/Cordova/East Memphis." Maria Shumpart is Fire Crew Supervisor at SERVPRO of Bartlett/Cordova/East Memphis. 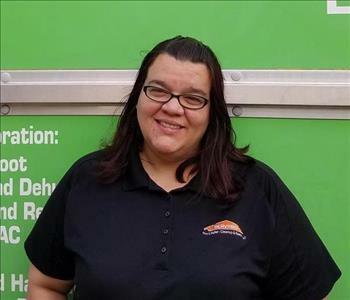 Maria is one of the hardest working women of SERVPRO, and uses her energy and attention to detail to ensure customer's homes and belongings are returned to their preloss condition. Kim Webb is the Office Manager, overseeing all office functions with customer-centered focus. She also serves as the team's spiritual adviser, and nurse, bringing her nurturing characteristics to the entire SERVPRO of Bartlett/Cordova/East Memphis team. Kavious Boyd is Water Crew Chief at SERVPRO of Bartlett/Cordova/East Memphis. Trained to respond to customers in their most stressful time of need, Kavious most enjoys being able to help people see that with proper equipment and techniques, their seemingly destroyed houses can once again be returned to comfortable homes. 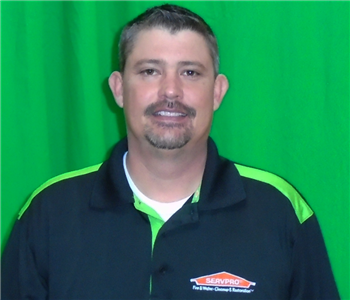 Jeff Hobbs is Sales and Marketing Manager, responsible for managing all aspects of business development efforts, has worked for SERVPRO of Bartlett/Cordova/East Memphis for well over seven years. His duties include estimating jobs, visiting work sites, and acting as liaison between clients, their insurance company, and SERVPRO to help homeowners understand how the job is progressing and to lessen anxieties in these often stressful situations. Jeff attends and participates in many public events and trade shows to educate the public, and business and community leaders, in both disaster prevention, actions to appropriately respond, and what services SERVPRO offers to restore their property should damages occur. Debra Tucker is Estimator and Office Administrator for SERVPRO of Bartlett/Cordova/East Memphis. Her duties include assisting with all office functions, and thorough review and completion of estimates for homeowners and insurance clients. Her goal is to return timely and accurate estimates for all jobs to ensure customers fully understand their restoration fees. 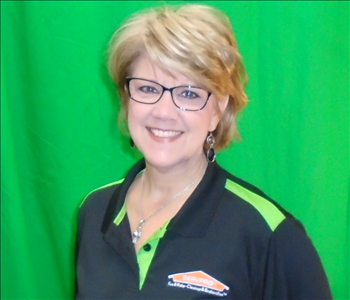 Dana Cook is Administrative Assistance at SERVPRO of Bartlett/Cordova/East Memphis. She is responsible for several office functions designed to help the business operate smoothly while keeping customer experience as the primary concern. She assists with job file management and scheduling appointments, among other tasks. She enjoys using her knowledge of the industry to help customers understand the details of the restoration process for their homes. Chuck Tucker is Operations Manager for SERVPRO of Bartlett/Cordova/East Memphis, responsible for all departmental operations within the franchise. Through close communications with all divisions of the business, Chuck's role is to ensure a seamless experience for all customers, both residential and commercial. He enjoys most the fast-paced nature of his role, and his ability to provide solutions for both our customers, and for our employees as they carry out their day-to-day tasks. Stacey Brown is a Fire Crew Technician at SERVPRO of Bartlett/Cordova/East Memphis. Her attention to detail and persistence in completing tasks make her one of the best in restoring customers' homes and belongings after the trauma of a fire. She enjoys most being able to see customers returned to their homes following her efforts and care.